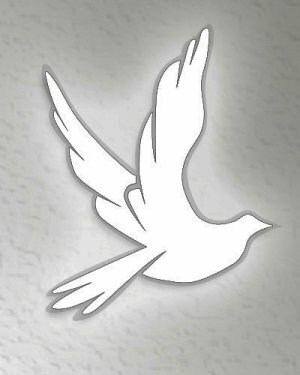 Obituary for Patricia A. (Rowlands) Downs | Devlin-Rosmos-Kepp F.H. & C. S.
Patricia A. (Rowlands) Downs, 71, wife of the late Bruce W. Downs, of Phoenixville, PA, died Friday evening, August 31, 2018 at Parkhouse Nursing and Rehabilitation Center surrounded by her family. Born on September 6, 1946, in Wilkes Barre, PA, she was a daughter of the late Thomas Rowlands, Alice Farrell, and Stepdaughter to Francis Farrell. Her family moved to Davenport, Iowa when she was 10 years old. She graduated from Marion High School, Marion, Iowa and received her Associates degree in Nursing from Eastern Iowa Community College. She worked as a Licensed Practical Nurse in Iowa, Illinois, and Pennsylvania for 30 years. She was a member of Calvary Chapel, Chester Springs, PA.
She was a woman of strong Christian faith, attended Bible study twice a week, enjoyed reading, taking many pictures, loved her grandchildren, and the Philadelphia Phillies. Relatives and friends are invited to attend her Funeral Service at the Devlin Rosmos Kepp and Gatcha Funeral Home & Cremation Services, 517 S. Main Street at Fourth Avenue, Phoenixville, PA on Saturday, September 8, 2018 at 10:00 am with Pastor Ray Pirollo officiating. Entombment will follow at Mt. Zion Cemetery Mausoleum, Pottstown. A viewing will be held at the funeral home on Saturday morning from 9:00 am to 10:00 am.